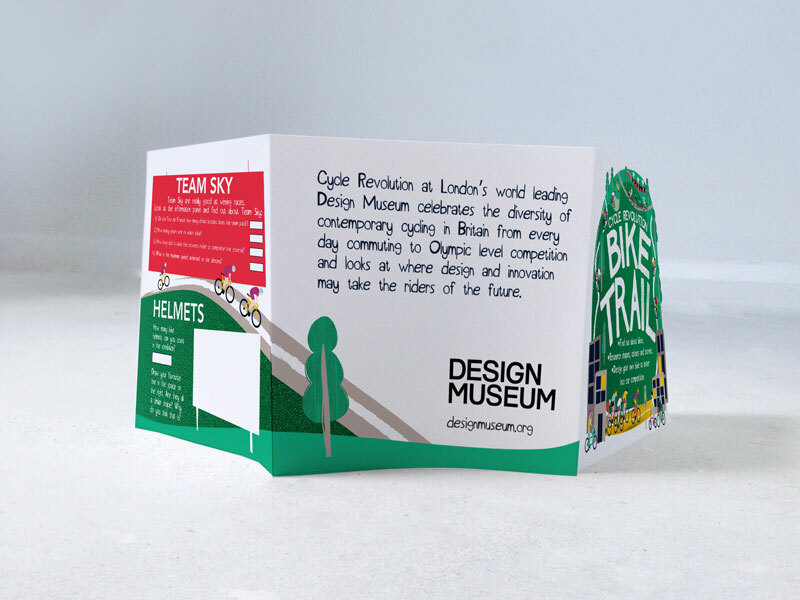 I recently completed a cycle themed illustration project for The Design Museum in London. 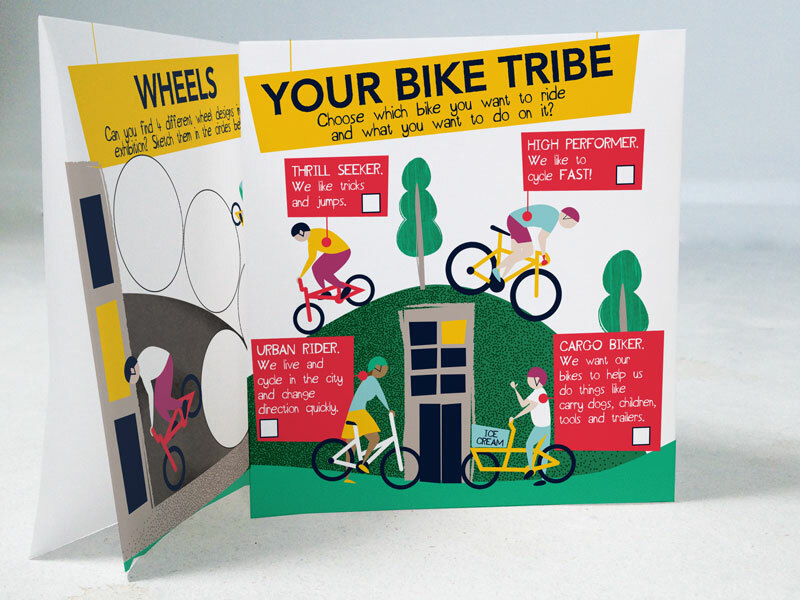 Their current exhibition, cycle revolution, is all about biking in the UK, from commuters to Olympic athletes, and they needed a leaflet for younger visitors to help them engage with the exhibition and get involved. I came up with a fun and cost effective format of a simple folded sheet of A3. 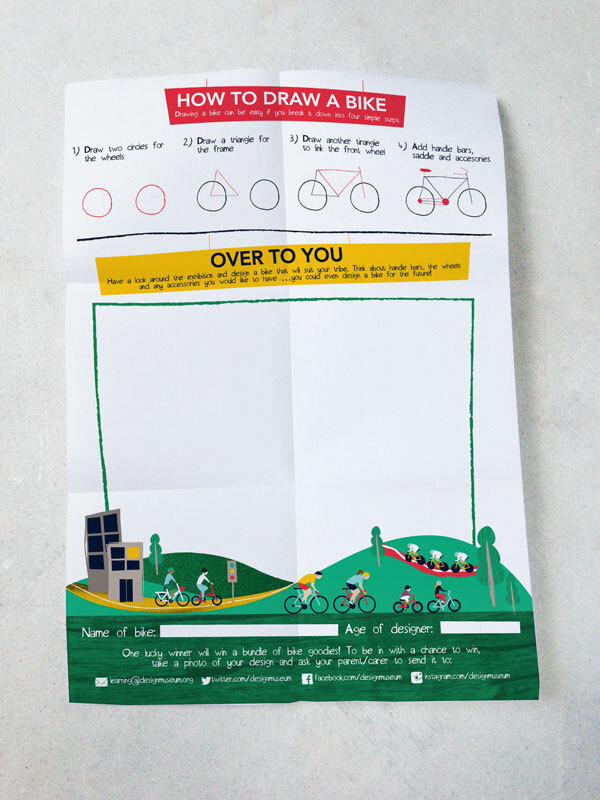 This gave us small pages of activities on one side and then opened up to give them a huge space to let their imaginations run wild and design their own bike. 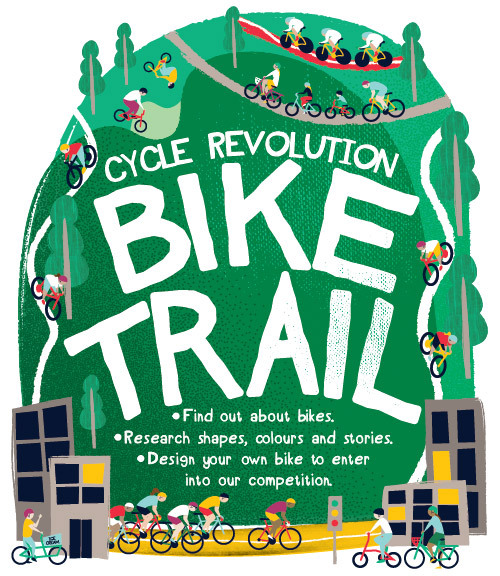 As budget was a consideration I focused on illustrating a complex scene for the cover that featured all the different types of cycling featured in the exhibition and this illustration was broken up and re-used to create the designs and illustrations for the inside pages. 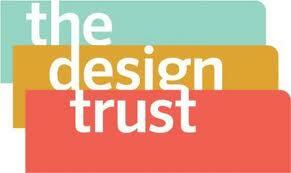 I had great feedback from The Design Museum “I LOVE IT… what a fantastic design! 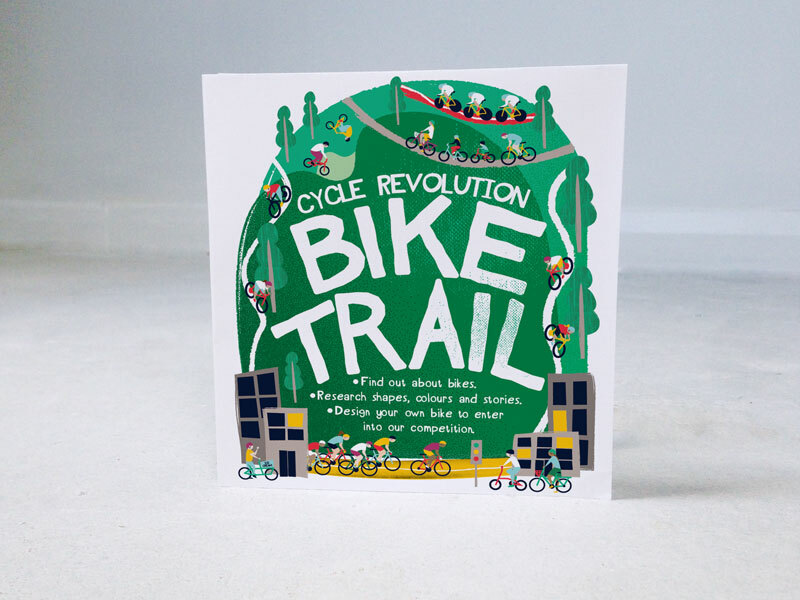 Everyone that I’ve shown the design to is absolutely over the moon” and I have enjoyed seeing the images on social media of kids filling in the activities and designing their own bikes! 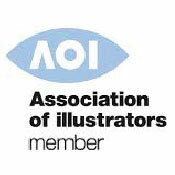 If you commission illustration work or need help with a design project I’d love to work with you. 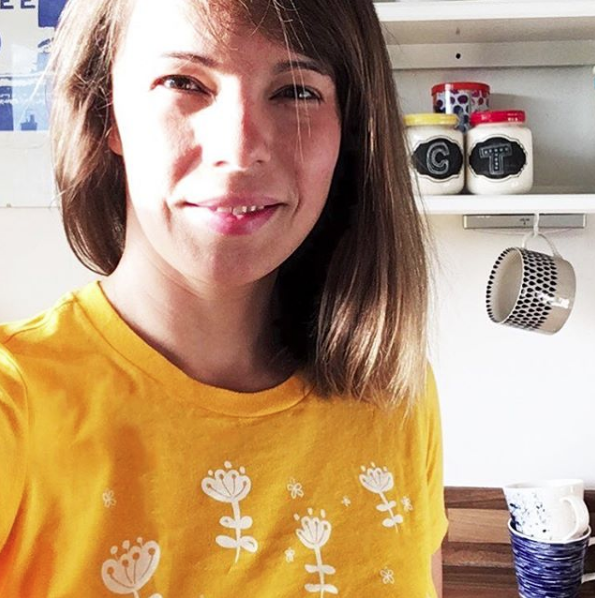 Get in touch or sign up for my email to keep up with my most recent work.